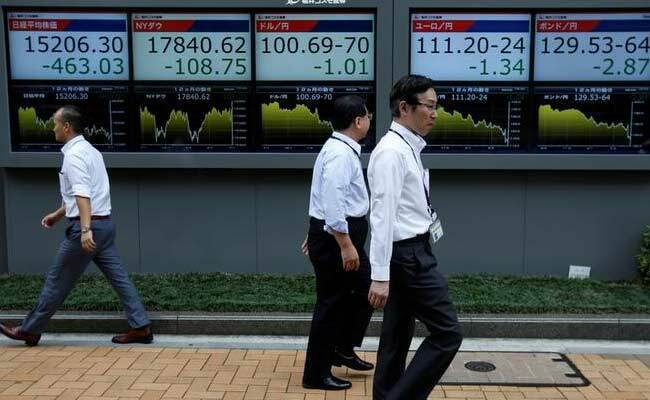 Thailand, the Philippines and Malaysia saw robust jumps in sentiment. The subindex for Thailand surged to 100 from 85. Sydney: Business confidence among Asian companies rose in the first quarter to the highest level in seven years, a Thomson Reuters/INSEAD survey showed, as a fresh surge by the Chinese economy offset concerns about rising trade barriers. The Thomson Reuters/INSEAD Asian Business Sentiment Index, representing the six-month outlook of 67 firms, advanced one notch to 79 for the January-March quarter compared with three months before. "The improvement is not dramatic but with a historical perspective this is a good reading," said Antonio Fatas, a Singapore-based economics professor at global business school INSEAD. "China ... has escaped the fear of a crisis that started back in 2016 and that's why you see strong confidence. Imbalances persist but there is no real threat of a crisis over the short term," said Fatas. "The tourism and export sector expansion will help drive growth (in Thailand) this year," said Rattham Somboonchareon, a planning manager at survey respondent Thai Airways, adding that government spending was also a key driver of growth. Australia's subindex dropped to 80 from 92, although the figure is relatively high when compared with its historical average of 69. U.S. President Donald Trump has announced import tariffs on steel and aluminium, and is expected to consider additional tariffs targeted specifically at China. He has also repeatedly said the U.S. free-trade deal with South Korea is "unfair" and has threatened to scrap it altogether on multiple occasions. That has battered sentiment in South Korea, with the country's subindex plunging to 50 from 83. "There is a sense among Korean businesses that Trump will continue to be aggressive against their country," said Fatas. Singapore's subindex declined to 75 from 79. The country's exports took a surprise dip in February as tech product shipments continued to retreat from the hot pace of recent months. Japan, where consumer spending numbers have been subdued, recorded its lowest reading in a year, at 67 compared to the fourth-quarter's 70. India also experienced a decline in sentiment, falling to 72 from 79. The auto sector matched its highest subindex reading posted seven years ago, while the retail and leisure sector recorded its best ever reading. Healthcare had its highest score in two years..